Florida Divorce | Lisa Marie Vari & Associates, P.C. If you wish to get a divorce or simply desire some legal aid to discuss separation and divorce, call our Florida divorce lawyer today at 305-222-7351 e-mail us to schedule a consultation. While there may be many different reasons for divorce, Florida is a no-fault divorce state. This means that in a Florida divorce case, a spouse does not need to prove that the other spouse is at fault for causing the end of the marriage in order to file for divorce and obtain a Florida divorce decree. Florida no-fault divorce laws are a much more humane method of divorcing instead of other states that may require a trial and testimony regarding the personal lives of the divorcing spouses on issues of adultery, desertion or other fault-based divorce grounds. 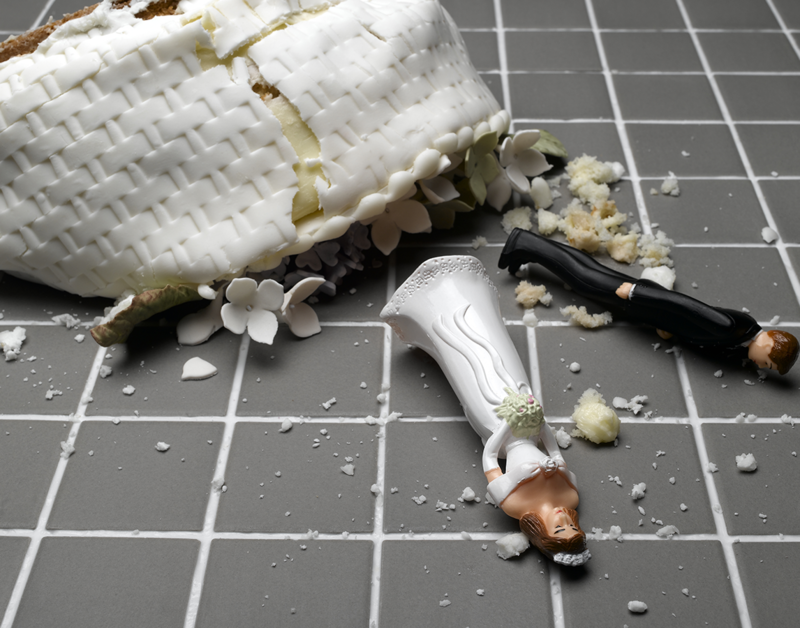 Instead, with Florida no-fault divorce laws, the Florida divorce lawyer representing either spouse can file to legally end the marriage by simply stating that the marriage is irretrievably broken. Another rarely utilized ground utilized in a Petition for Divorce can arise when a spouse has been declared incompetent by a guardianship court. Dissolution of Marriage is the technical legal term for a Florida divorce action. Filing the proper Florida divorce forms is crucial in a case. The required divorce papers include a Petition for Dissolution of Marriage by the Florida divorce lawyer, which is the first step in the FL divorce process. The spouse filing the petition, also known as the petitioner, must pay the Divorce Court’s filing fee for opening the Florida divorce case. The Florida divorce lawyer representing the petitioner will have the divorce documents including the Petition for Dissolution served on the other spouse, the respondent. A process server will generally be hired by the Florida divorce attorney to serve the petition upon the respondent. The respondent’s lawyer will then be required to file divorce papers including an Answer to the Petition for Dissolution of Marriage on behalf of the respondent. The Florida divorce attorneys for each spouse will state in their client’s respective divorce papers the grounds for the divorce (irreconcilable differences), the jurisdiction (authority) for the court to hear the case, the facts as they believe them to be and the types of issues that the spouse would like the family court to consider. The issues included in a Petition for Dissolution or Answer to the Petition for Dissolution could include the granting of the Florida divorce decree, a division of the marital property, separate maintenance, alimony, child support and resumption of a maiden name. Florida divorce law permits quick divorces in some circumstances. There is a waiting period in Florida of at least 20 days from the date of the filing of the Petition for Dissolution of Marriage before the Florida Divorce Decree may be entered by the Family Court judge. Under Florida divorce laws, the technical legal term for a Florida Divorce Decree is “Final Judgment of Dissolution.” If the Florida divorce lawyer for either spouse can prove that an injustice would result from the 20-day delay, the Family Court may enter a final judgment prior to the expiration of the 20-day waiting period. Generally, the Florida divorce rules require that before a Family Court judge will enter a Final Judgment of Divorce, all issues involving property division, child custody and support must be settled by way of a negotiated agreement and execution of a Marriage Settlement Agreement, via mediation or the collaborative family law process, or determined by a hearing and entry of an Order of Court. In very limited circumstances, the Divorce Court judge may bifurcate the case, enter a Partial Final Judgment and reserve jurisdiction to determine the remaining Florida family law issues at a later date. The international divorce process can add a level of complexity to Florida divorce-related matters such as support and child custody. For the Florida Family Court to have jurisdiction or the legal authority to hear a divorce in Florida, a mandatory requirement is that you or your spouse must be a resident of Florida for at least six months prior to the date of filing. Regardless of whether your spouse lives overseas, or you frequently travel internationally for work, couples interested in the international divorce process can still pursue a divorce in Florida if either spouse meets the residency requirements. Our managing attorney, Lisa Marie Vari, has over 25 years combined experience in Florida and Pennsylvania family law cases and can use her training, knowledge and skills to assist you in your South Florida divorce matter. In preparing for divorce in the Miami area, contact our Florida divorce lawyers at 305-222-7351, toll free at 1-844-VARI-LAW (1-844-827-4529), or e-mail us to schedule an appointment to ask your questions about divorce and for the legal advice you need concerning the FL divorce laws. Our Miami divorce lawyers accept family law cases in Miami-Dade County, Broward County and Monroe County as well as international divorce cases. Consultations are available in person in Miami and at several meeting locations throughout Dade and Broward Counties including Lincoln Road in Miami Beach, Galiano Street in Coral Gables, West Country Club Drive in Aventura and Hollywood Boulevard in Hollywood. Appointments are also available by telephone and via Skype internet video chat. If you would like more information on family law topics, read the topics in our Frequently Asked Questions (FAQs).